The Duraseat Block Stool has been upgraded from its previous design giving it better quality, thicker material providing it with excellent strength and stability. It is an extremely comfortable robust stool suitable for indoor commercial use. The Duraseat Block Stool can be re upholstered in a fabric or vinyl of your choice at an extra cost. 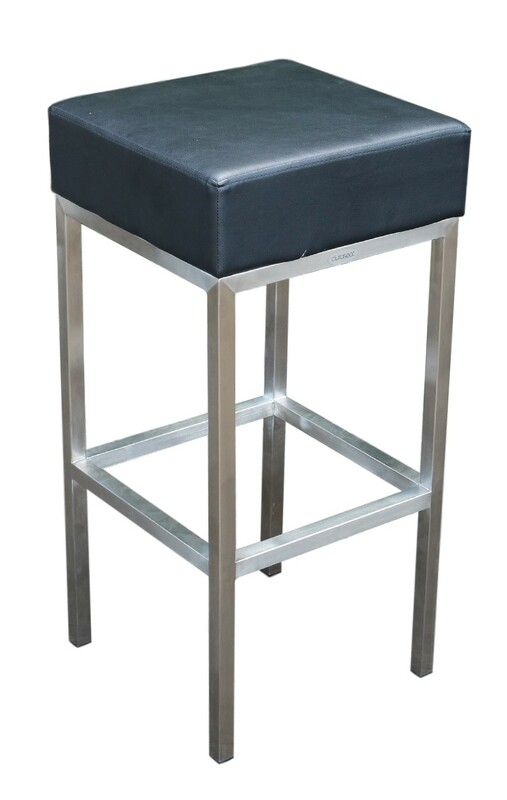 The Duraseat Block Stool has a high quality 304 Grade Stainless Steel frame, so don’t get our stool mixed up with cheaper versions on the market. Cheaper versions = cheaper material = problems (e.g. corrosion, flaking vinyl or fabric) and poor presentation to your clients. Nextrend are experienced experts in importing quality commercial grade products from China, we have a sourcing and quality control agent in China, we back all of our products with a 2 year warranty! – Visit our warranty page for further information.